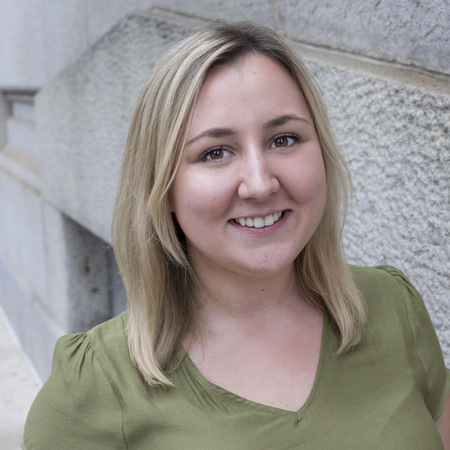 Lauren Kostoglanis serves as the development associate for the BGA. She supports development initiatives including gift acquisition, processing, record keeping, and the strategic development and implementation of annual appeals and special events. In 2015, Lauren earned her B.A. in social work and English from the University of Iowa. In 2016, Lauren earned her M.S.W. from Loyola University Chicago with a specialization in non-profit development and program management. Before the BGA, Lauren completed three internships including a programming and logistics internship at the Iowa City: UNESCO City of Literature. She completed her BSW practicum at the University of Iowa’s Women’s Resource and Action Center and her MSW practicum at Loyola University Chicago’s community mental health clinic, Loyola Community and Family Services. Lauren is passionate about social justice issues and development within the non-profit sector.